For the first day or few days maybe organise to arrive late to work if needed (or have the first day off if possible.) This is an idea for those especially with kids who are starting Preschool or Transition or those children who have anxiety or don’t deal with separation or change well. 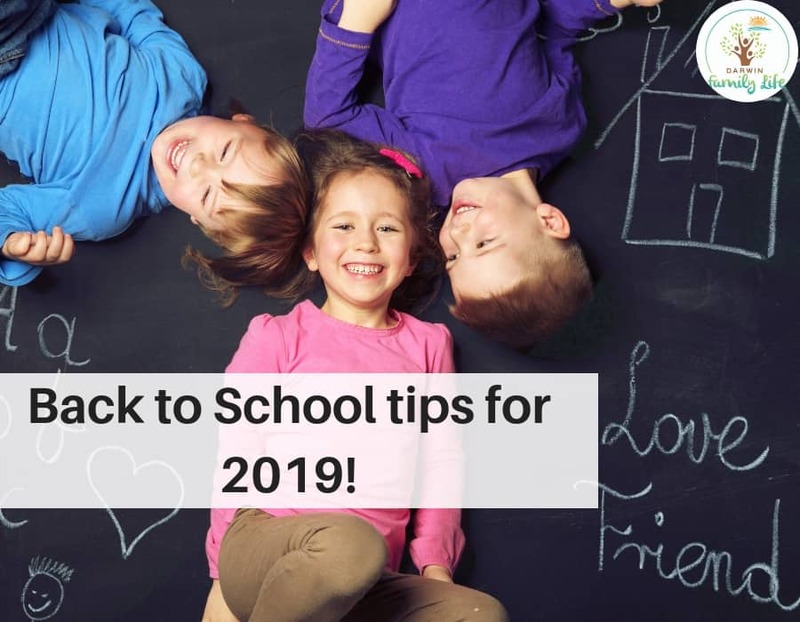 Having less rush or needing to be at work on time will alleviate the pressure from this situation and you can enjoy easing your child into the new school year. Parents – be prepared for kids to be exhausted. The first week back will be a big change in routine from holiday mode so go easy on the after school activities. There will be tired little people so early nights and understanding the big changes is important. Being organised the night before with lunchboxes packed, uniforms laid out and everything ready to go in bags is a great first step to having a smoother morning and hopefully less chaos and rushing. Mums and Dads (or whoever is getting the kids off to school!) Try and get up before your children and be showered, dressed (and coffee in hand). I find if I am organised and ready before my four kids it is a much better start to the school mornings! Rather than me trying to juggle getting ready amongst the kids as well. Whatever happened last year is in the past, this is a brand new year! Be prepared to make new friends! While you may have some friends from previous years in your class it is likely there will be new people you don’t know….and new students to the school so be friendly! Get ready to learn something amazing. Every. Single. Day. Be Brave. Stepping out of your comfort zone can cause exciting results! Every student is entitled to receive $150 towards educational goods and services if your child is enrolled in a government or non government Territory school or preschool. The payment voucher is available at the school office and you need to use it in Term 1. Examples of what you can use the payment for include: school uniforms, stationary packs, school excursions, textbooks and much more. There are certain items that are not covered and the full payment needs to be allocated and used in Term 1. Darwin Family Life just published a blog explaining this payment and other School sports vouchers and Swimming vouchers your child may be eligible for. Click here to read the NT vouchers for kids blog. It is always handy to know when Terms start and finish and when holidays are happening. Here is a great year calendar for NT public schools showing all the Terms and School Holiday dates. 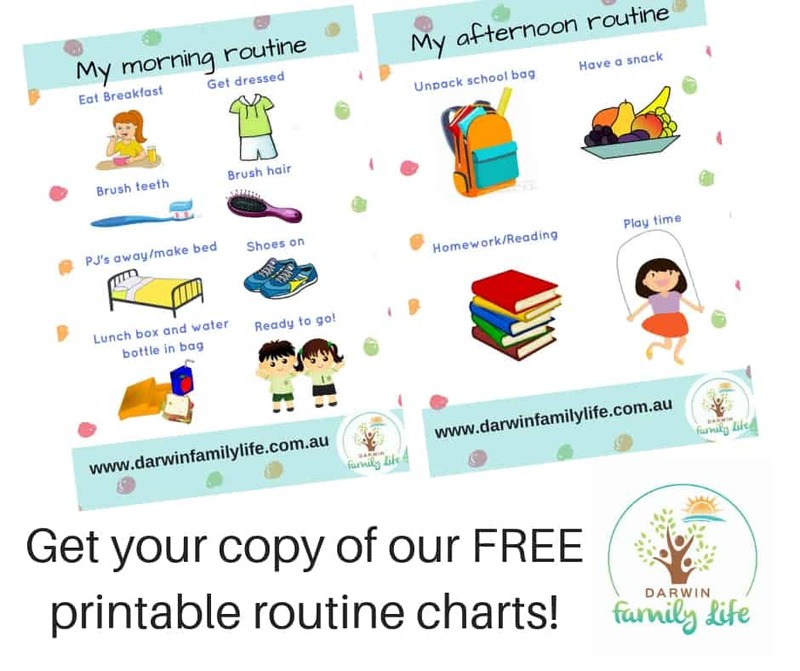 Darwin Family Life always publishes a school holiday guide round up of activities that are happening so always check in for these blogs! Most school offices will reopen soon so parents can organise their children’s school uniforms. Be sure to ring ahead to check their opening hours as many have varied hours and not open for the whole day. School Offices are usually pretty flat out the first day or first week of Term so if your in a hurry or have limited time it is better to try and head in before school starts back if possible. 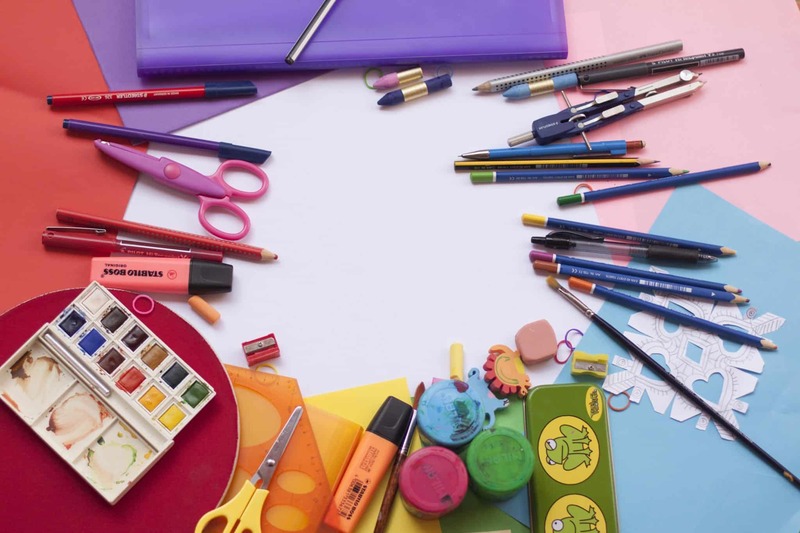 Most public primary schools have a book pack that is part of the back to school payment so there is no need to go out and buy books, pencils, textas or cover in contact any dreaded books lol! I remember having to help my Mum as a kid contact books! So frustrating! All public primary schools (and most middle/high schools) have a set uniform that they except children to wear each day. The back to school payment should cover some of your uniform costs. I do find however that most schools have a “school colour” ours is a bottle green so I also buy squarts, sports shorts and hats in the school colour from Best and Less, Big W or Kmart. I find it does save a bit of money then buying them all through the school. One huge tip for kids that are starting school for the first time, is to buy their lunch boxes and drink bottles now. Our friends at Adventure Snacks have a great range of Bento Boxes, Yumboxes, lunchbox accessories, drink bottles and more! Start practising using them BEFORE school starts. For some kids the clips and opening lunch boxes is quite challenging. They may be nervous or shy and not actually ask for help. So to help them out practice using the lunchboxes before school starts. Label all items going to school with their name. This will save lost property! This includes: lunch boxes, drink bottles, uniforms, socks, shoes etc. For some parents lunch boxes can become a dreaded task to do. Darwin Family Life published this blog on Clever lunchbox hacks late last year – head here to read our handy hacks! Our friends over at Little Peeps Eats published a blog on how to choose healthy prepackaged foods for kids. It will be a huge help to navigating the prepacked items and what are some better options. Another helpful blog they published was on healthy lunchbox snacks check it out for some ideas too. We hope this has helped in preparing your kids for school. Leave us a comment if you liked this article or it helped you. *Private schools have various start dates so please check with your school what date they return.